The effective treatment of HIV and Tuberculosis (TB) is complex, requiring extensive multi-drug therapy. When addressing this topic, we need to take rural areas into consideration as, sadly, the majority of HIV/TB co-infection fatality rates occur in these areas. Adequate medication and health services are not always easily accessible in these areas, and a lack of awareness and education regarding the conditions and how to overcome it contribute to high infection rates. Due to the seriousness of these diseases, multi-dimensional approaches have been adopted. Not only do effective treatment measures need to be adapted but these treatments also need to be distributed in a cost-effective manner, all the while providing education and awareness. Antiretroviral drugs (ARV) have proven themselves extremely successful in elongating the lives of individuals infected by HIV and improving lifestyles. Research indicates that the treatment of HIV and TB is largely dependent on the health of a patient as well as the interactions of the multiple medications and their effect on the patient. If the HIV is stabilised and the patient possesses a high CD4 cell count, the general consensus is to start treatment on TB first, and introduce HIV treatment after TB treatment has begun. However, if a patient is in poor health, with a low CD4 count, it is preferable to introduce treatment for both diseases at the same time. While traditional means such as health professionals being present at hospitals and clinics will always be necessary, we need to start thinking out of the box in order to truly reach and impact those individuals in hard-to-reach places. MST is able to provide a cost-effective solution for the diagnosis of HIV and distribution of ARVs in rural areas. 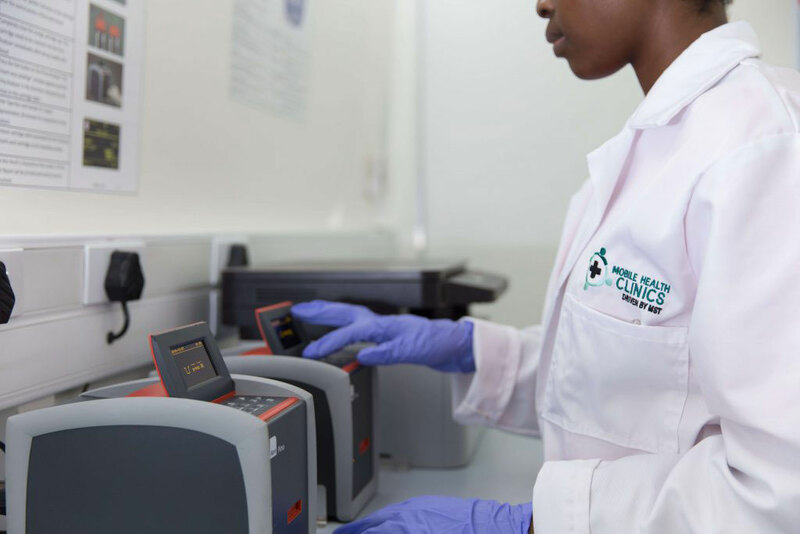 The integration of mobility and technology has made it possible to build mobile HIV and TB clinics and recent developments can potentially reduce the time from diagnosis to treatment of HIV from six weeks to three days. This allows us to not only bring diagnosis and treatment to the doorsteps of those who need it most but also, and often more importantly, bring education and outreach programmes to these communities. Although HIV and TB treatment is expensive, in South Africa and many other countries ARV drugs are largely given out for free to individuals with no medical aid or health insurance. In South Africa, the government, through Public Healthcare, largely subsidises medication, arranges payment schemes or offers certain medication for free to those who cannot afford it. Furthermore, due to the enormity of the TB and HIV epidemic in our country, treatment no longer falls solely on the individual, but also on government, society and organisations. Many organisations have pumped many resources into ensuring treatment reaches the unreachable through their corporate social responsibility (CSR) initiatives. The effective treatment of HIV and TB, though complex, is possible and great strides have been made thanks to improvements of ARVs and education. One of the greatest challenges in the effective treatment of these epidemics is the roll-out of diagnosis and medication in hard-to-reach locations. With government and corporate support, it is possible to great improve the treatment campaigns in South Africa and further afield. If you or your company are interested in becoming involved in the fights against HIV and TB through your corporate social investment (CSI) budget, get in touch for more information. Contact us on info@mobilehealthclinics.co.za for more information.